The ubiquitin-proteasome system (UPS) is a mechanism that includes the active marking of proteins by ubiquitin in order to be degraded. It is essential in the regulation of proteostasis in the cell. Dysfunctioning of the UPS has been implicated in diseases such as cancer and neurodegenerative disorders. We are interested in the effects of proteasome malfunctioning on the global proteome and the ubiquitinome, the complement of all ubiquitinated proteins in the cell. To study this, we use SILAC proteomics in a cell system where we can manipulate the proteasome in a subtle way, i.e. by selective RNAi mediated knockdown of specific proteasome target subunits. 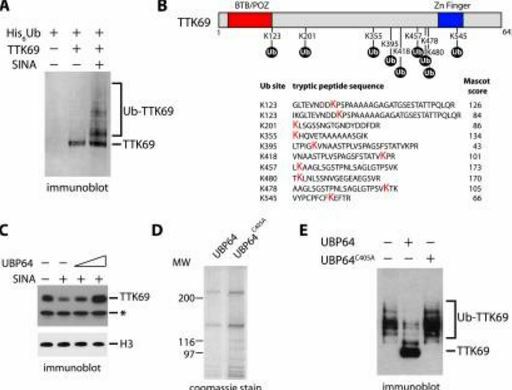 Proteasome inactivation results in modification of the global proteome and especially the ubiquitinome: ubiquitinated proteins cannot be degraded anymore and are accumulated. 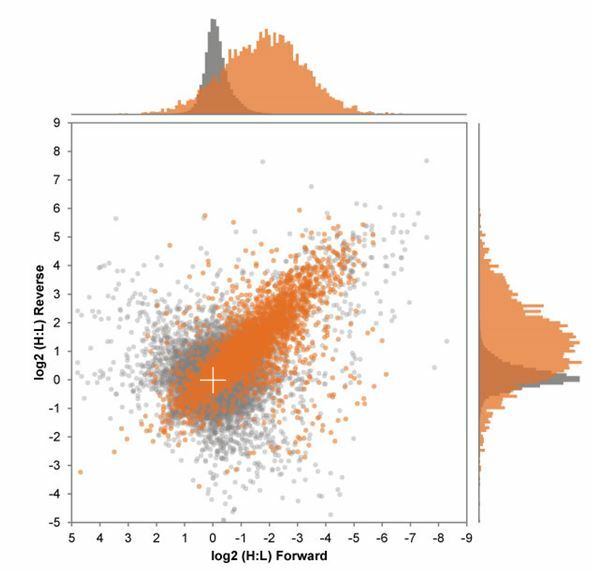 Detailed study of 1000s of ubiquitination sites suggest the occurrence of simultaneous and perhaps functionally different ubiquitination events within single proteins. This project has both a methodological and a biological angle. First, we develop analytical tools to better be able to study the ubiquitinome. Second, this strategy allows us to dissect the molecular mechanism of the UPS and hence opens up new avenues for the manipulation of the proteasome in UPS related diseases. It is a widely accepted concept in biology that proteins exert their function in cells while being part of larger functional complexes. Our research focuses on the characterization of protein complexes and their dynamics during cell differentiation, cell cycle and upon stimulation by external stimuli like UV irradiation, and how this influences protein functioning. Usually, the protein of interest is immunoprecipitated either by using in vivo protein tagging or by highly specific antibodies under relatively mild conditions. Subsequently, the complex partners are separated by SDS-PAGE and in-gel digested, or directly digested from the beads and identified by mass spectrometry. One of the major challenges is to differentiate between bona fide interaction partners and ‘second-shell’ interactors or non-specifically binding proteins. By gradually changing the immunoprecipitation conditions we are able to get a rough idea about the composition of sub-complexes. ⇒ See e.g. Van den Berg et al. 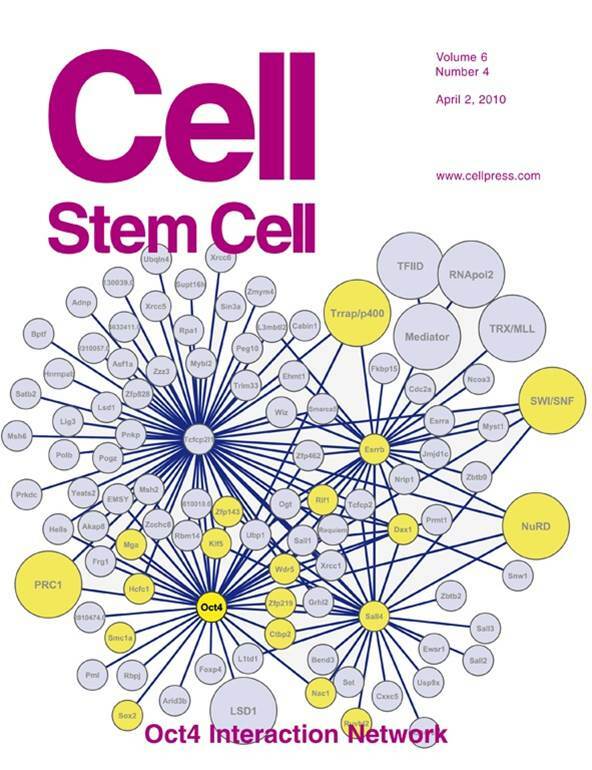 (2010) Cell Stem Cell 6(4):369-81 and Mohd-Sarip et al. (2012) Science 336(6082):744-7. After translation, the posttranslational modification (PTM) of particular amino acid residues extends the range of functions of the protein. Biochemical functional groups are conjugated to the amino acid and such modifications can change the chemical nature of an amino acid or make structural changes. Mass spectrometry has proven to be an excellent tool for the characterization of PTMs such as acetylation, methylation, phosphorylation, ubiquitylation, ISGylation, and so on. In order to analyze PTMs by mass spectrometry, it is often necessary to enrich for proteolytic peptides carrying the modification of interest, for instance by specific antibodies or enrichment protocols involving interaction chromatography. We develop tools for the (quantitative) analysis of PTMs and try to discover how amino acid modifications can affect protein complex composition and how they are involved in cellular functioning. ⇒ See e.g. Bajpe et al. (2008) Mol Cell Biol 28(5):1606-15. We have optimized and implemented a method that uses 18O labeling of tryptic peptides to account for quantitative differences in protein levels between different samples. When all proteolytic peptides in e.g. a control sample are labeled with 18O, we can easily differentiate between real interactors of our protein of interest and non-specific background proteins: in the case of background proteins, both heavily-labeled and non-labeled peptides will appear in the same mass spectrum. In contrast, if the protein is specific for the sample, only the light variant will be observed. We have successfully applied this method for quickly subtracting background proteins from real interactors in co-immunoprecipitations. Furthermore, our lab uses Stable Isotope Labeling of Amino acids in Cell culture (SILAC) for quantitative proteomics. In this approach, one sample originates from cells that were grown under normal conditions and the other sample is from cells that were grown in media containing amino acids that were labeled with heavy carbon (13C) and nitrogen (15N). One of our research projects involves investigation of changes in histone modifications after DNA damage and we use SILAC to identify and quantify such changes. If SILAC cannot be used isobaric tagging with Tandem Mass Tags (TMT) or iTRAQ is a powerful alternative, especially because of the possibilities for multiplexing.